On Jan. 9, less than 24 hours before the Ontario Hockey League (OHL) trade deadline, the Oshawa Generals first announced they had traded the team’s captain Anthony Cirelli to the Erie Otters. In exchange, Oshawa is receiving rookie Allan McShane and a series of draft picks. A few short hours later, it was then announced that the organization had dealt star defencemen Mitch Vande Sompel to the London Knights in exchange for rookie defencemen Ian Blacker and more draft picks. The moves confirm rumours that have been swirling for weeks, including during Cirelli’s time with Team Canada at the World Junior Championships, where he has missed the last 10 games for Oshawa. In what would be their final time lacing up for Oshawa, Cirelli and Vande Sompel were both in the lineup on Jan. 8 for a 4-1 victory over the Kingston Frontenacs, a game that would see Vande Sompel score the winning goal with an assist from Cirelli. Cirelli would be named the game’s first star, while Vande Sompel would take the second star. Speaking after the victory, and before the trade announcement, Cirelli spoke fondly of his time with Oshawa. The last two years have been a whirlwind of success for Cirelli signed as a free agent by Oshawa after the 2014 training camp. He would go on to become the Memorial Cup hero, scoring the OT winner in Quebec City against the Kelowna Rockets during the 2015-2016 season. He would then go on to be drafted by the Tampa Bay Lightning, be named Oshawa’s captain, and most recently won a silver medal with Team Canada. “He’s an unbelievable player, he’s world class, incredible guy. Any good thing you can say about a person, it’s about him,” said Vande Sompel of his former captain. The New York Islanders draft pick appeared emotional following the game, though the trade to London had yet to be announced. “I’m a player, not a GM, hockey is a business and things happen. I’ve been here for three and a half years. Whether I stay or go, my heart will always be in Oshawa, that’s for sure,” Vande Sompel said. The moves are perhaps a signal from Gens management that the priority is being placed on the 2018 season as Oshawa seeks to host the 100th anniversary of the Memorial Cup. Speaking after the win on Sunday, and prior to any trade announcements, general manager Roger Hunt noted that the club’s first place position in the Eastern Conference, while great at the moment, may not last down the stretch. “I think there are some teams around us that are going into the year might end up being the favourites to win the east,” he said. Currently, Oshawa’s 23-12-2-2 record is good enough to hold down first place, two pints ahead of the rival Peterborough Petes, who have gained ground in recent weeks. Hunt also noted that the team has already accomplished what they set out to do this season. “Our goals this year were to advance from where we were last year and I think we’ve done that so far,” he said. With that being said, he did convey the difficulty in making the decision to trade away key players. In a pair of new releases making the announcements, Hunt commended the pair for their time spent with the Oshawa Generals. As for Vande Sompel, a London native, Hunt stated the trade would be a good opportunity for him. In return for Cirelli, McShane, now midway through his first season in the OHL, has seven goals and 16 assists in 33 games with the Otters, tied for fifth among rookies in points. 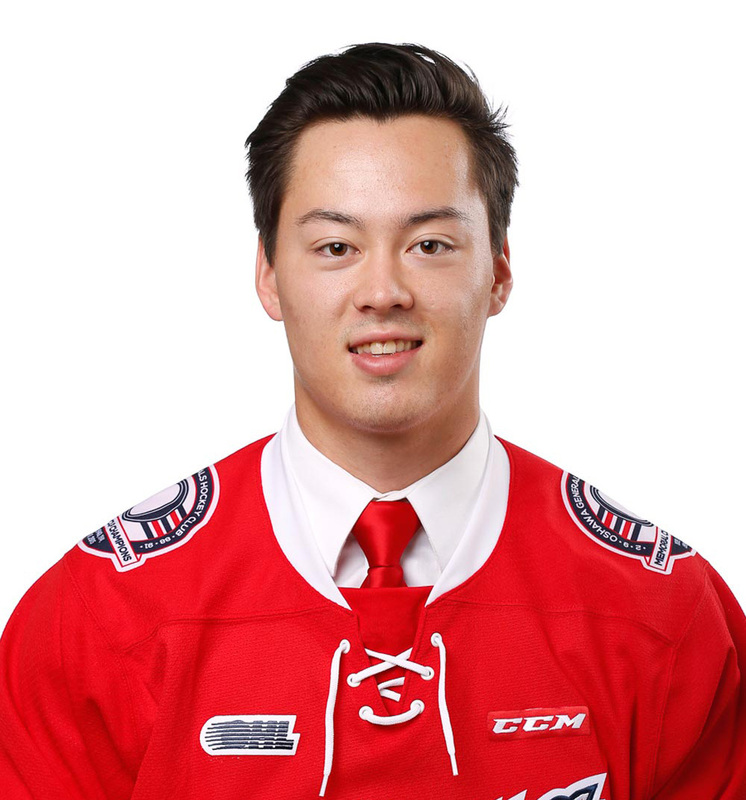 McShane will play his first game in a Generals uniform on Thursday, Jan. 12 when Oshawa travels to Peterborough to take on the Petes. 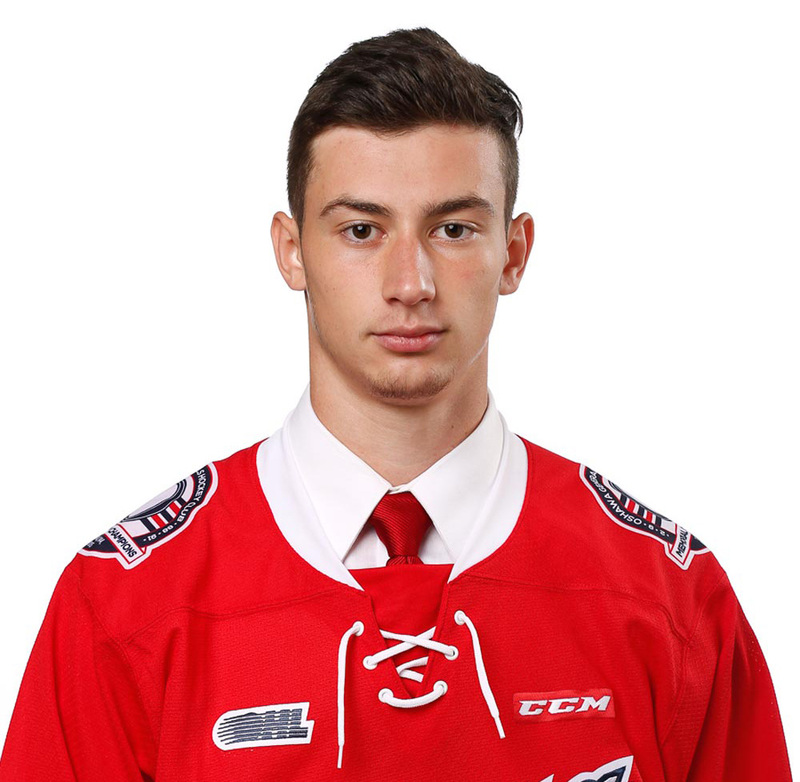 There will also be a familiar face in the locker room for McShane who, as the 16th overall pick in this year’s OHL draft from the Toronto Marlies, was teammates with Gen’s first round pick Danil Antropov. The draft picks acquired in the trade include a 4th round in 2018, and 2nd in 2022 and 2023, a conditional 6th in 2019 and a conditional 2nd in 2024. As for the Vande Sompel deal, Blacker, a 4th round pick of the Knights, has played 23 games with the club this season. The Gens also add 2nd round picks in 2017 and 2019, as well a 3rd round pick in 2018 and a conditional 3rd round pick 2024.